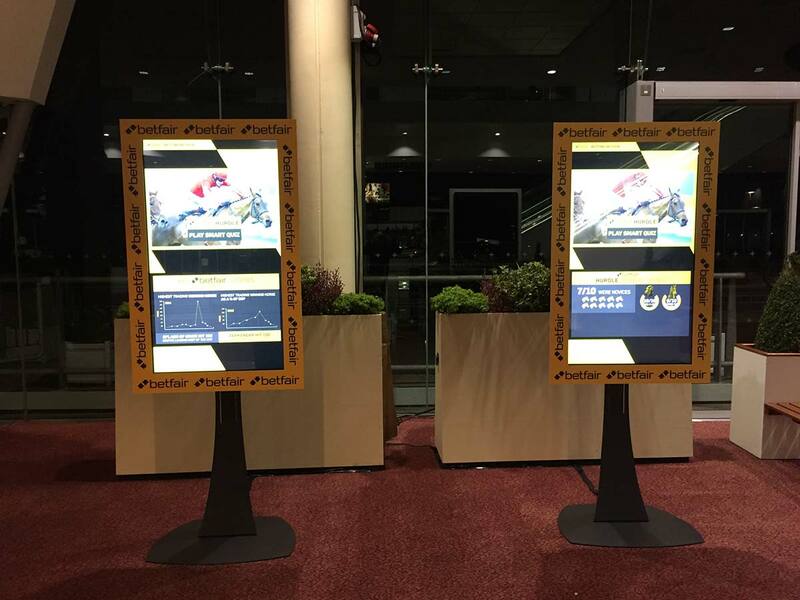 A 55″ Touchscreen rental makes a big impact. 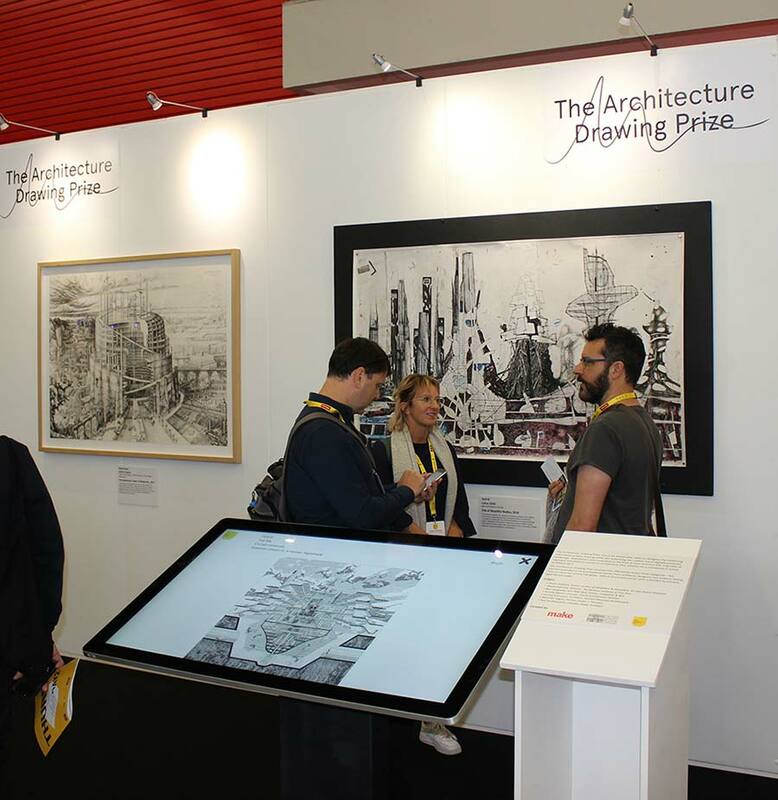 Whether it’s on an exhibition stand, at a product launch or in a retail space, a 55″ touchscreen rental won’t be missed. 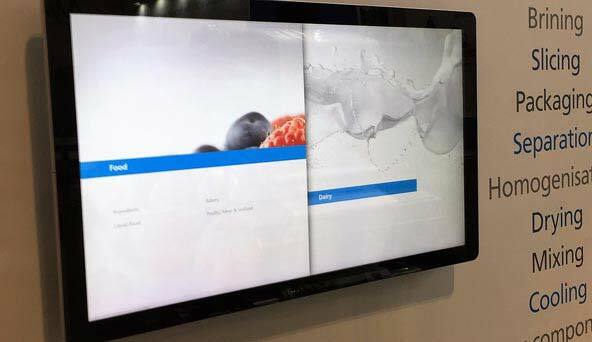 The 55″ Touchscreen is stylish. It has a flush glass front, silver aluminium frame with rounded corners and a black bezel, which gives it a tablet-style look and feel. 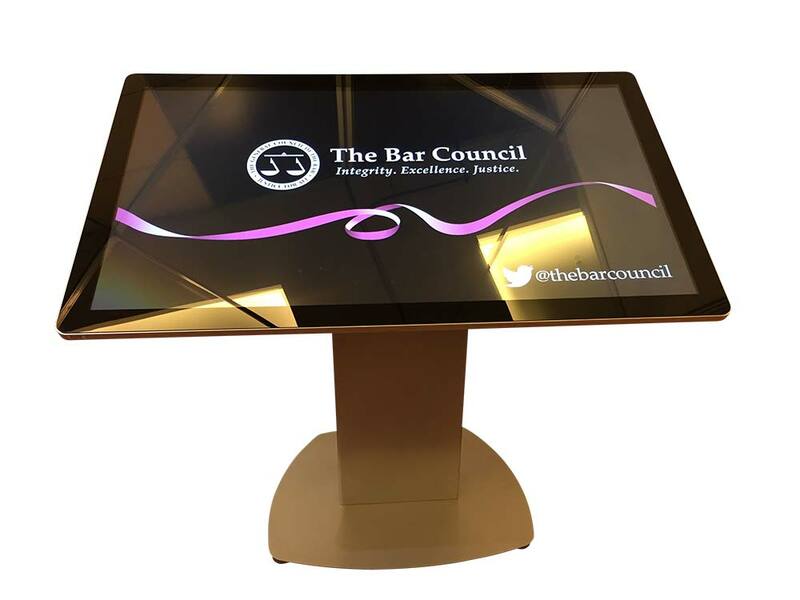 The 55″ Touchscreen uses the latest projective capacitive technology, giving you 10-point multi-touch and a sensitive touch experience. It has a an integrated dual-operating system PC, with Windows 10 or Adroid 5.1. 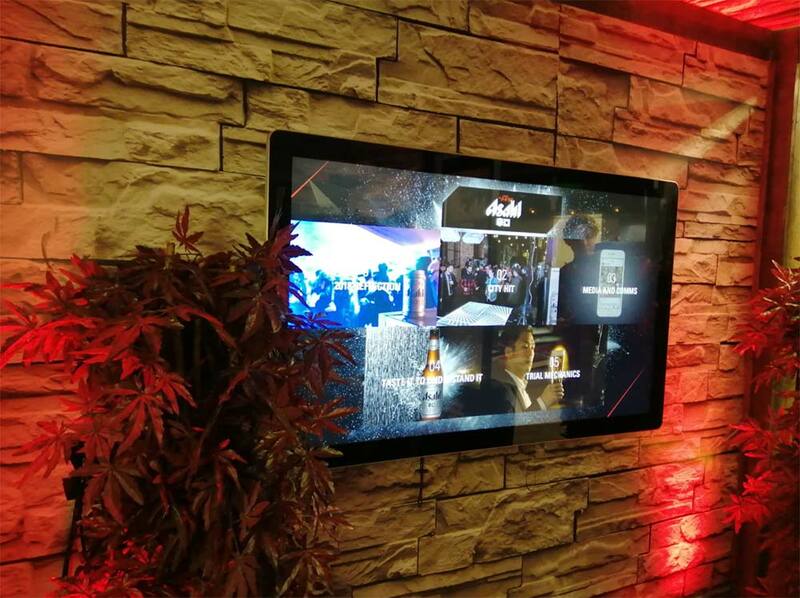 Simply plug in the 55″ Touchscreen and it automatically starts up. It’s as simple as that. You can also connect your own Windows PC for your 55″ Touchscreen rental. An HDMI connection is used for the display. A USB-to-USB cable gives you touch, so you can still control the display by touching the screen. 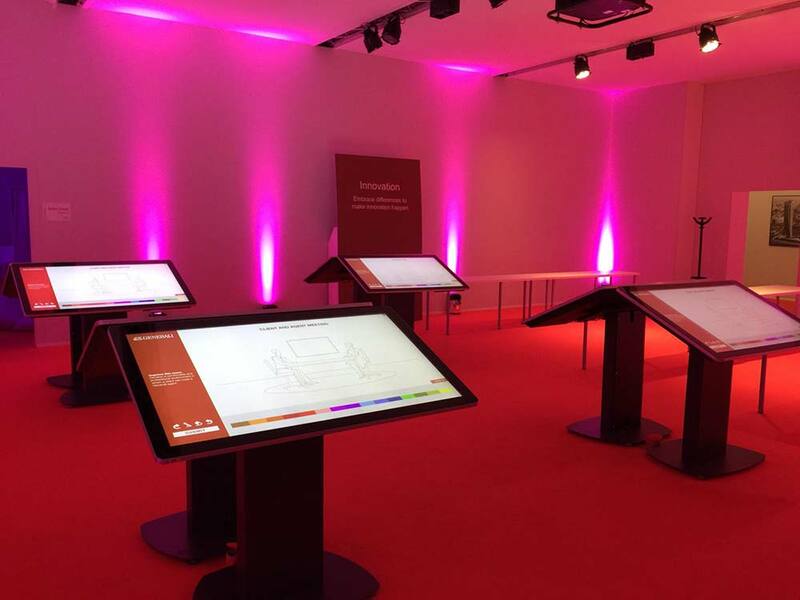 We provide a low profile Lectern Stand, upright Axia Stand or height adjustable TV cart stand for your 55″ Touchscreen rental within the price. 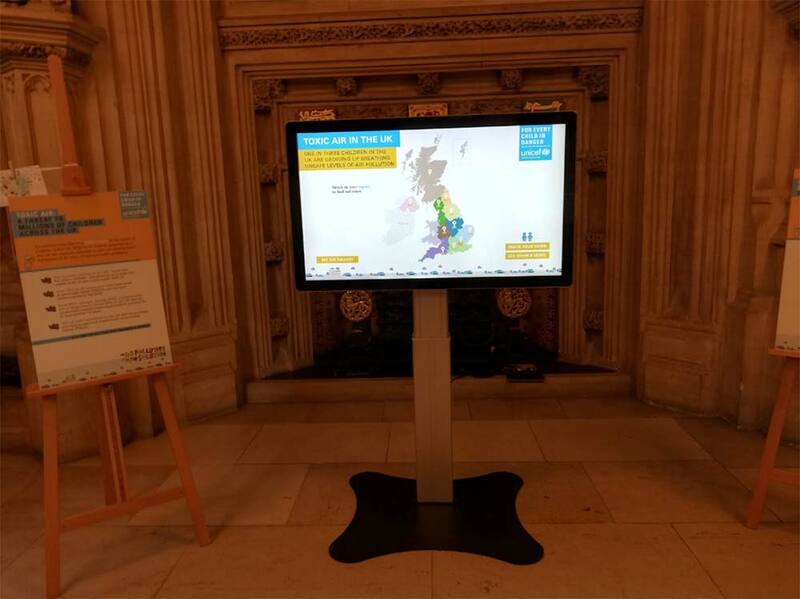 The 55″ Touchscreen can be mounted in portrait or landscape on the upright Axia STand or TV Cart Stand. 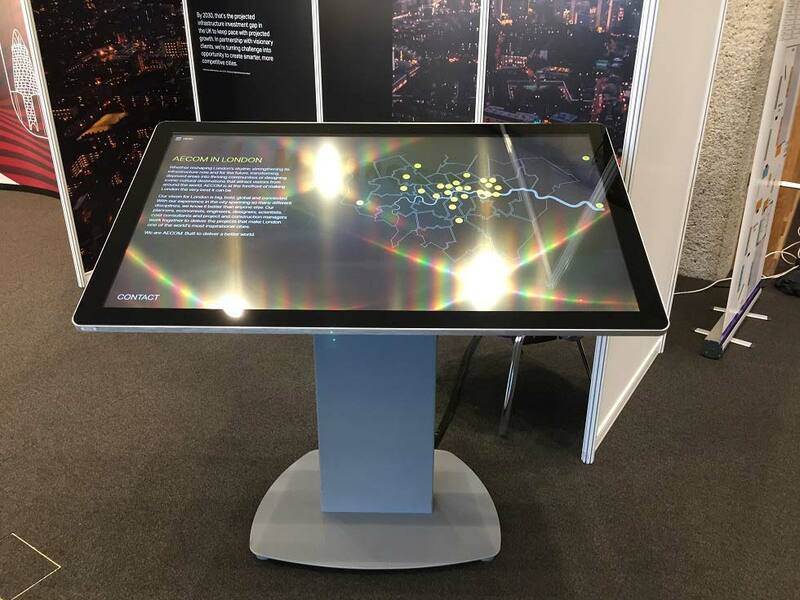 We recommend that a 55″ Touchscreen rental is the largest size for scenarios where your users are interacting with more complex applications or navigating websites. 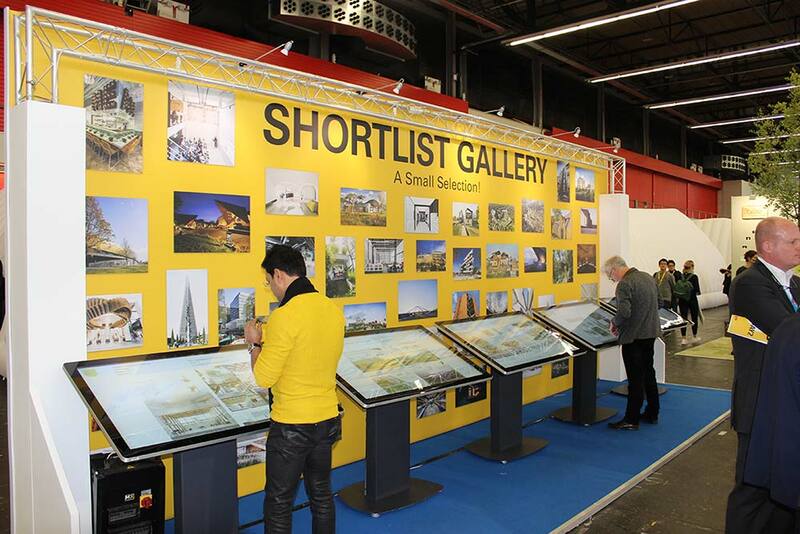 Any larger and the touchscreen can be too high or too wide to use for some users. For a larger touchscreen you also have to step back from the screen to appreciate the full the display. 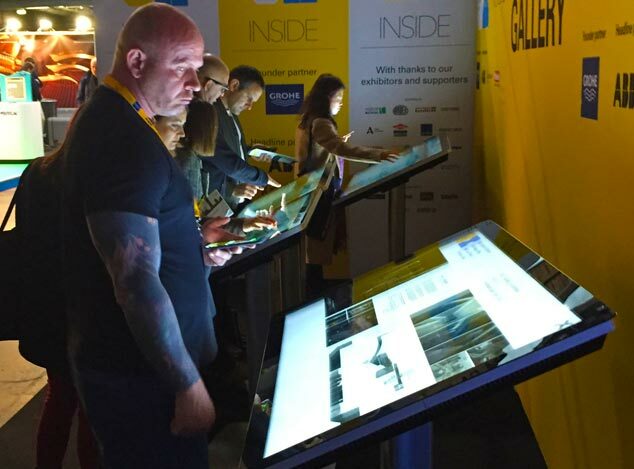 However a 55″ Touchscreen rental has the benefit of having a large format touchscreen that grabs people’s attention, yet is still user-friendly for interactive applications.